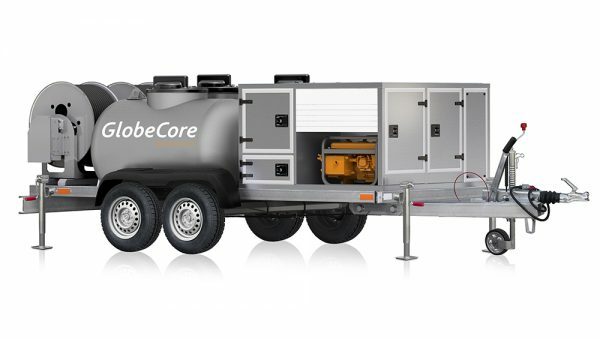 Turbine Oil: Characteristics, Applications and Interval of Oil Change - GlobeCore. Oil Purification Systems. Turbine oils are used in a wide variety of roles. Apart from lubricating bearings and gears in steam and hydroturbines, these oils are also used in compressor, fans and other machinery. Turbine oils usually consist of highly purified paraffinic oils with various additives to achieve certain performance characteristics of the oils. Since the process of lubrication in turbines occurs at high speeds, a certain degree of viscosity (higher or lower) is required, suitable to the the operating temperature. As a rule, direct drive turbines, turbofans, turbopumps and hydraulics require oil with ISOVG 32 viscosity class, while gearboxes, hydro turbines, enclosed gears and piston compressors require ISOVG 46–68 oil; the same equipment in a larger size class needs ISOVG 83 viscosity turbine oil. The temperature of bearing surface in hydro turbines compared to steam turbines is low, however, in steam turbines the use of hot high pressure steam can bring bearing temperature to over 100°С. Since turbine oil is used continuously, it tends to oxidize due to the temperature, as well as contact with air, metals and water. Turbine oil must be resistant to oxidation. Water in turbines causes rusting. 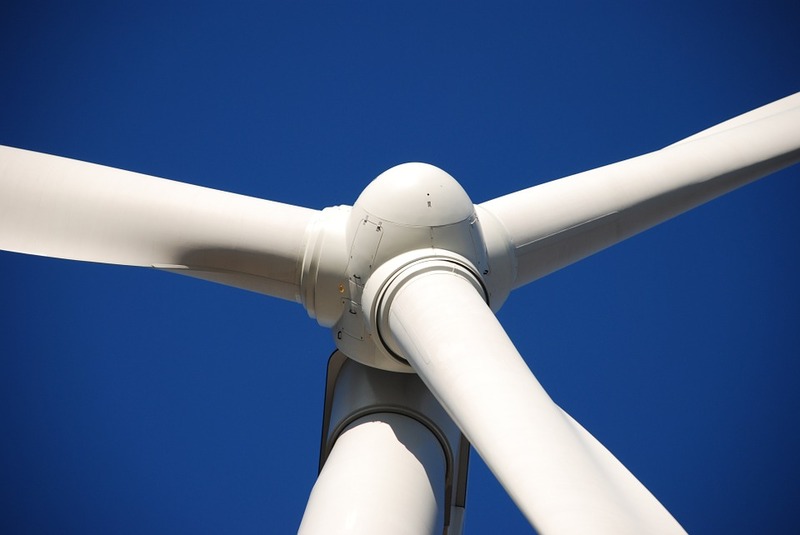 Basic high purity oils cannot sufficiently protect the metal surfaces, hence the need for additives to make turbine oil resistant to corrosion. If turbine oil does not have good water separation characteristics, bearings wear faster, temperature is increased, oxidation is accelerated etc. Basic high purity oils are usually good demulsifiers, but the addition of an anticorrosive additive usually reduces that ability, so the balance must be maintained. The main shaft of the turbine rotates at high speed continuously, making wear protection an important parameters of the oil. The gearbox of the turbine, reducing the speed of shaft rotation, runs at high power output and also needs protection from wear, like the main shaft. 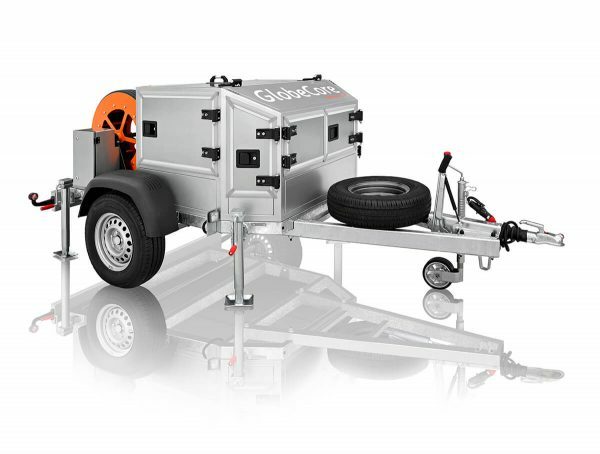 This is important for equipment reliability. Modern turbine oils are used at high speeds in forced circulation mode. The oil easily contacts with air, and foam may form. Air foam causes oxidation of oil, but also degrades the lubrication process and causes losses of oil from the oil tank, so it is important to make the oil resistant to foaming. A silicone antifoaming agent may be used for this purpose to quickly remove the forming foam. Bearings in turbines are not especially loaded, but they rotate at very high speeds: over 3500 rpm. This makes lubrication essential. Forced oil circulation is used in large turbines, while in medium sized or small turbines, bath lubrication is preferred. Water cooling keeps the oil temperature below 70 °С in large turbines, but small and medium turbines are air cooled, and the oil temperature reaches 110-120 ° С. Since turbines are operated nonstop, this is a factor of oil oxidation. Reducing the speed of turbine rotation by a gearbox results in high power output. There are two types of reducers: gears and electrical reducers. Ships, for instance, are usually equipped with turbines with gearbox reducers; the same oil enhanced with additives is used to lubricate the leading bearings of the turbine, the gearbox, the bearings, the outer bearing rings and gears. As the power of ship turbines increases while their size decreases, the load on the gearbox grows and requires special additives in the turbine oil; such oil is branded as “”heavy duty turbine oil”. The governor is driven by the pressure in the speed and power regulation system. the turbine oil being the medium. Therefore, since quick and predictable pressure transmission is required, the oil must have good viscosity characteristics. The negative effects of high temperature, water, contact with metals and impurities have been mentioned above. The latest generation of turbines keep the oil temperature at about 70°С thanks to cooling systems, and more turbines are operated non-stop continuously. This makes for a slow gradual oil degradation process. It manifests itself in the change of color from red to red-brown and then to black, and the appearance of an unpleasant smell. Acid number increase at this stage, sludge forms; the oil’s antifoaming, anticorrosion and deemulgation properties are reduced. Since the process of oil degradation can be controlled to a certain degree by paying attention to the condition of the lubricant during normal turbine operation, below are several points to consider during periodic lubrication system checks. The efficiency of oil cooling is reduced due to accumulation of sludge on the internal surfaces of pipes or contamination on the surfaces of pipes on the water cooling side. Oil temperature rises, resulting in oil oxidation, so oil cooler maintenance is important. Foreign particles and impurities impede normal oil circulation; the processes of wear and sludge formation are accelerated, water separation is reduced. Small solid impurities like sand particles and rust wear down the bearings. Solid impurities also hinder the normal operation of the turbine governor. 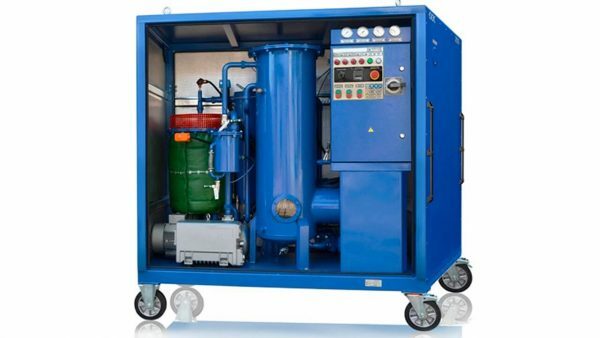 It is necessary to remove foreign particles from the system by air blowing or flushing the system before filling in the oil. It is also important to protect against solid contaminants entering the system through the air ventilation. Of course, it is impossible to entirely avoid ingestion of impurities in the lubrication system, so samples must be taken at regular intervals, along with filter inspections and system cleaning. Oxidation of mineral oil causes organic acids to form and some vapors of these acids are corrosive, especially to the metal surfaces located above the level of oil, so the vapor must be exhausted through air vents. The durability and performance of turbine oil may depend on various process factors and the design of the turbine the oil is used in. For instance, if air enters the internal pump system, oil begins to foam; if the seals are not air tight, the oil comes into contact with water and steam; if the oil line contacts hot areas, the temperature of the oil is increased. Any one of these factors may reduce the performance of turbine oil, so the oil piping system and the design of the turbine in general are important.